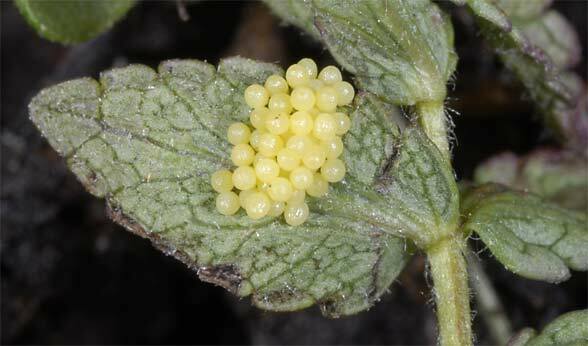 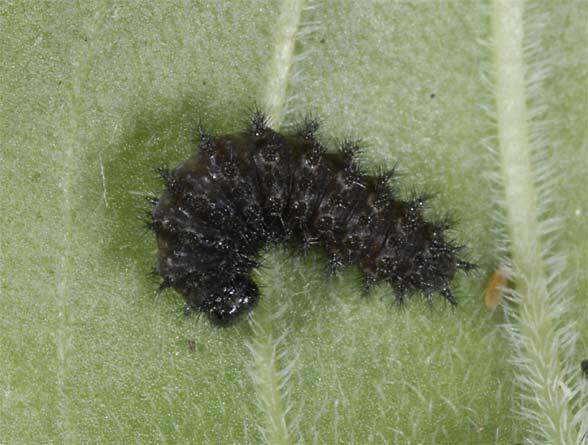 The larva feeds on Plantago, Veronica and Bartsia alpina. 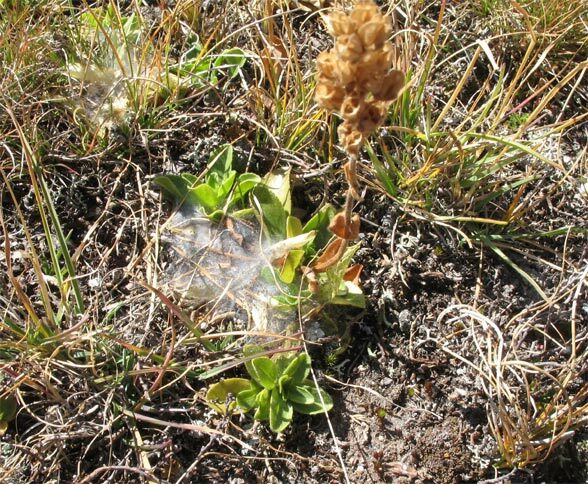 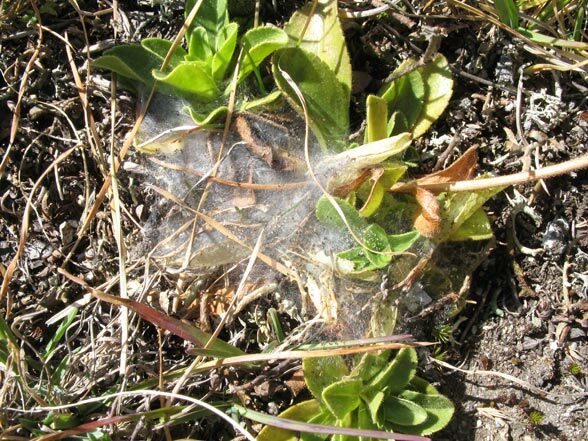 I observed an oviposition on Bartsia and caterpillar nests in September at Veronica bellidioides (in the Engadin at about 2300m above sea level). 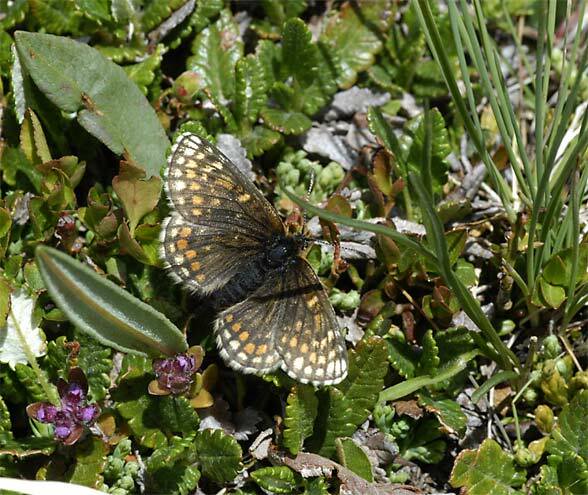 Melitaea asteria inhabits high alpine, mostly rather dry slopes above the tree line with preferred low-growing vegetation and strong insolation. 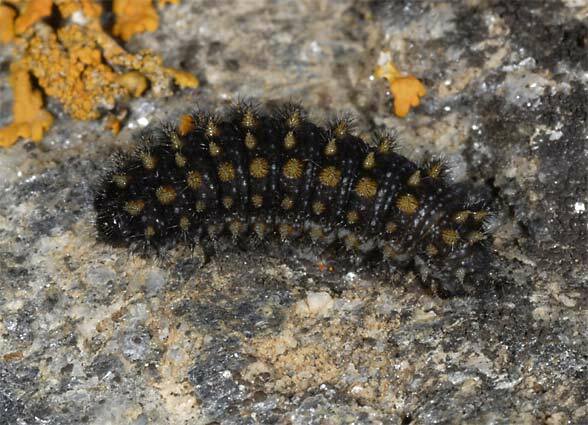 The caterpillar overwinters probably usually twice, maybe even three times in rarer cases. 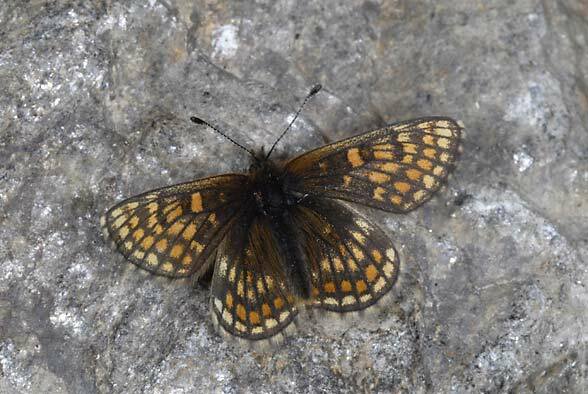 The butterflies are on the wing from late June to early August, rarely later. 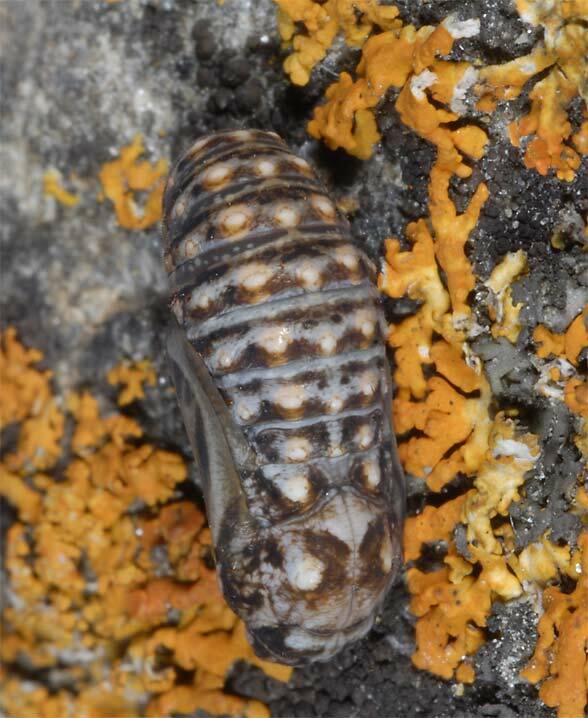 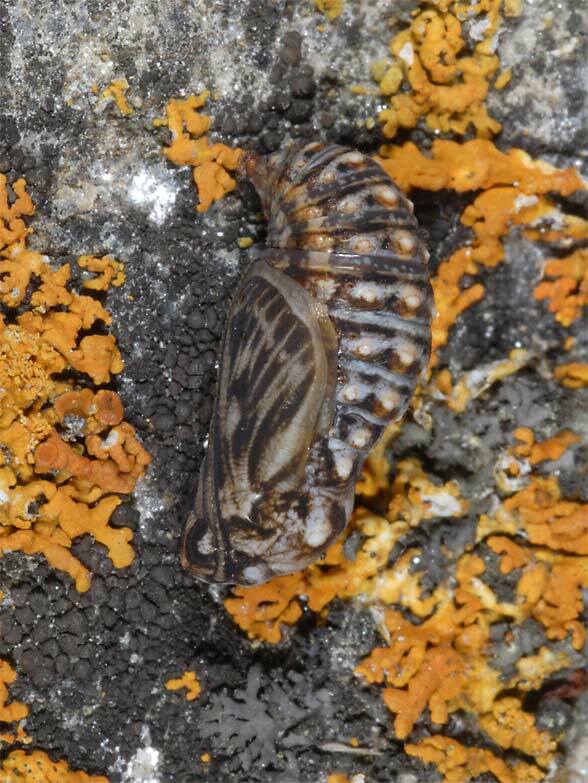 Pupation takes often place on stones. 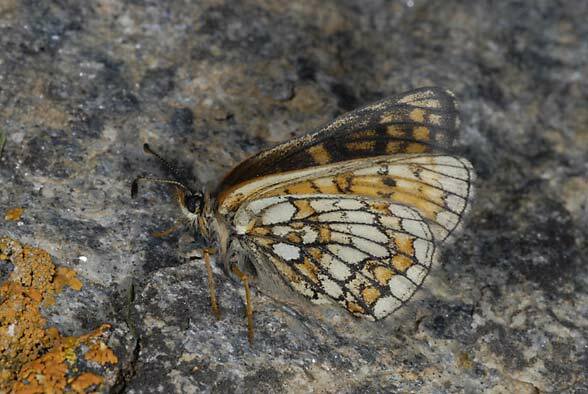 In places, Melitaea asteria is endangered by overgrazing and tourism development. 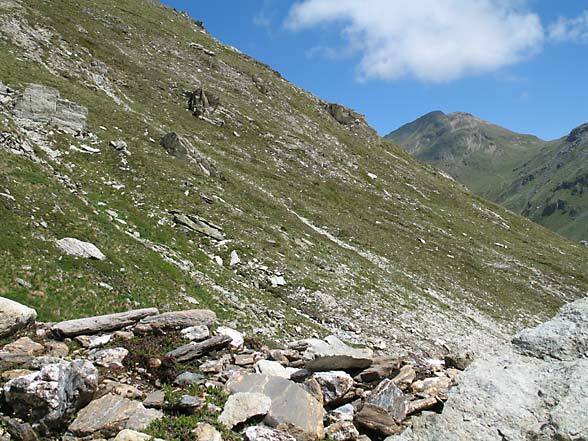 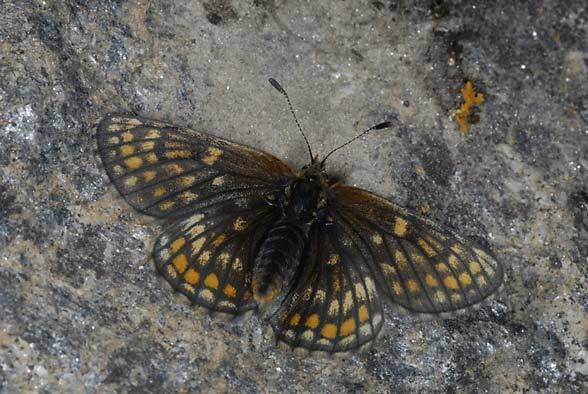 Melitaea asteria occurs only locally in the central Alps from western Engadine eastward to about Salzburg.